Aptly named, the new Blanco is finished in GT White Pearl pearlescent paint with contrasting sports decals in a combination of red and grey. 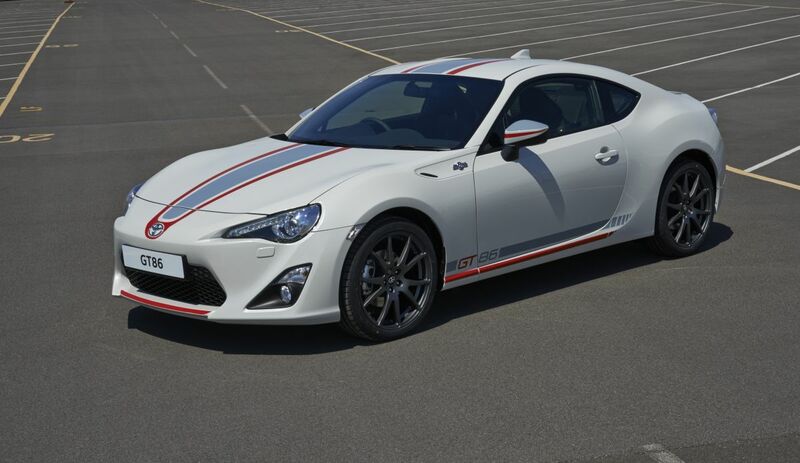 Differentiating this car from a standard GT86 is a stripe decal that runs up from the nose and across the bonnet and roof, matched by a GT86 twin-stripe along the sills. The front lip and rear diffuser are edged in red and red and grey flashes adorn the door mirrors. The look may be different, but there is no change to the balance and handling that continue to earn the 2+2 coupe critical acclaim. The car’s low centre of gravity and unique combination of a compact, naturally aspirated, front-mounted 2.0-litre boxer engine with rear-wheel drive deliver classic sports car performance, at an affordable price. These are starting to go the same way as Corsas with all these "editions"
| These are starting to go the same way as Corsas with all these "editions"
Only one we really want to see is the one with compressed wind! | Only one we really want to see is the one with compressed wind! Yep. Cut to the chase and start a forced induction range.